Bryce Fuhrman (b. 1990 in Hanover, Pennsylvania) is an active composer of chamber, large-ensemble, instrumental, and vocal music. He is equally influenced by musical sources ranging from Charles Ives to Emerson, Lake & Palmer, and from John Cage to Rush. Bryce's music uses the vibrancy and energy of rock and popular music as a launching point, fusing it together with his own harmonic and melodic language, creating a style that is at once both engaging and rewarding. In 2011, Bryce was selected to attend the highSCORE Festival in Pavia, Italy, where his work Aurora 1.0 for solo horn and electronic fixed media was premiered by hornist Corey Klein. While at the festival, Bryce also attended master classes with Paul Glass, Giya Kancheli, and Christopher Theofanidis, and studied privately with Amy Kirsten and Mario Garuti. In 2013, Bryce's Singularity for wind ensemble was selected as a finalist in the Frank Ticheli International Composition Contest. Bryce's music has been performed by ensembles such as the Spektral Quartet, the invoke quartet, the University of Maryland Symphony Orchestra, the University of Louisville Symphony Orchestra, and the Shenandoah Conservatory Symphonic Wind Ensemble. Bryce has had private lessons with Steven Bryant, John Mackey, Joel Hoffman, and Michel van der Aa, and he has also participated in additional master classes with Michael Daugherty, Joseph Schwantner, Michael Colgrass, Frank Ticheli, Armando Bayolo, David Little, and Scott Lindroth. Currently, Bryce is a doctoral candidate in composition at the University of Maryland College Park, studying with Mark Wilson. He also serves as a teaching assistant at UMD in music theory. Previously, Bryce was a recipient of the Moritz von Bomhard Fellowship at the University of Louisville, where he studied with Steve Rouse, receiving his master's degree in composition. 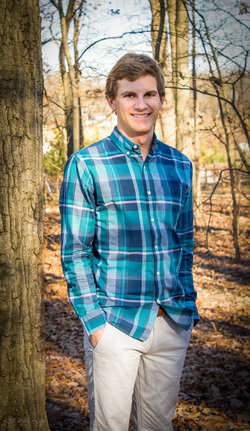 He previously studied at Shenandoah University (BM Composition) with William Averitt and Matthew Herman. In his free time, Bryce enjoys disc golfing, running, cooking, and watching baseball games.